The Voelker Orth Museum, Bird Sanctuary and Victorian Garden, through the experience of an immigrant family's 1890s home, preserves and interprets the cultural and horticultural heritage of Flushing, Queens. 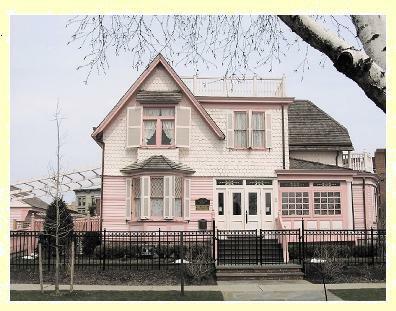 The well preserved American Victorian Home was built in 1891 by a speculating shop keeper. In 1899 the home was sold to Conrad Voelker, a German immigrant and publisher of a number of German American newspapers up until WWI. Upon his death in 1930, his daughter Theresa and her husband, Dr. Orth, lived in the house. Their daughter Elisabeth lived in the house until she died in 1995. More than a century old, this house has been the home of a single family for nearly its entire history and has changed little since the days of Conrad Voelcker. A distinguishing feature of the museum is the garden, containing plants that were once regular favorites in the Victorian era. The garden is maintained using eighteenth century propagation methods and gardening techniques, such as hand pruning and the use of natural fertilizers and pesticides, thus serving as a sanctuary for a variety of migrating birds. In June and July, our butterfly bush attracts monarchs, swallowtails, and other species, and our bee hive is home to a thriving colony of honey bees which produce a modest amount of honey for our educational programs.